We get our prices directly from The Adley at Bryton. There are 257 units available at this place. 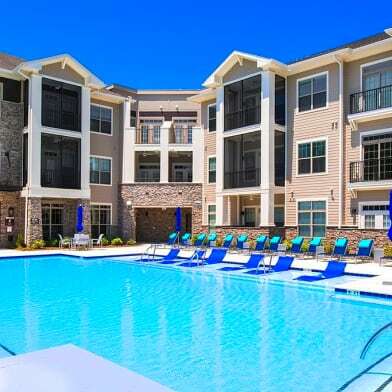 Welcome to The Adley at Bryton Apartments! 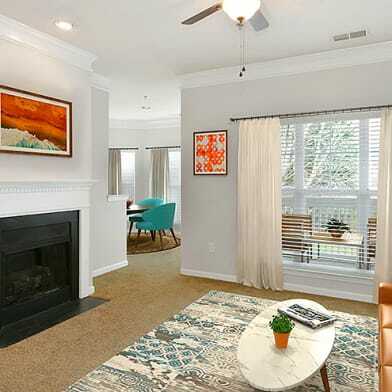 Enjoy the upscale and inviting atmosphere of our brand new community, located in Huntersville, North Carolina. 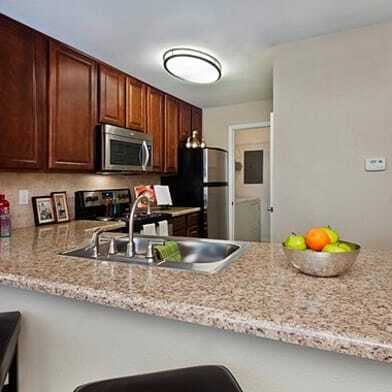 We offer beautiful one, two, and three bedroom apartments infused with style and modern convenience. Impressive character awaits you inside your apartment, where you will enjoy a spacious, open design, perfect for both entertaining and relaxing! Every apartment features lofty nine-foot ceilings, 2 faux-wooden blinds, ceiling fans with lighting, modern track and pendant lighting, a two-tone paint scheme, plush carpet, power-saving digital programmable thermostats, home intrusion alarms with optional monitoring, framed vanity mirrors, indoor trash chutes, and a washer/dryer in-unit. Our gourmet kitchens offer stainless steel appliances, executive chef undermount sinks, designer tile backsplashes, granite countertops, and custom routed two-tone cabinetry with sleek hardware. Select units also include upscale wood-finish flooring, corridor attached garages, walk-in showers with rain shower heads, luxurious soaking tubs, large walk-in closets, retreat views, and/or a relaxing patio or balcony! 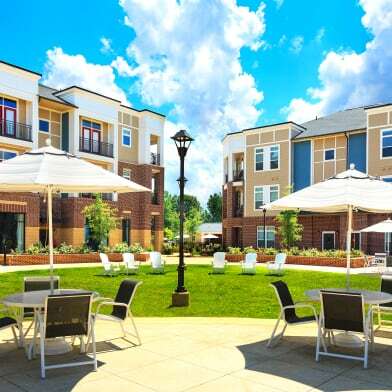 The Adley at Bryton Apartments offers many amenities to make sure you enjoy your time here with us! Enjoy luxury living by lounging around our relaxing saltwater pool with a sundeck and cabana, or by getting social in our indoor and outdoor kitchens with lounging areas. Residents can get energized in our two-story fitness center, which offers cardio, resistance, and free weights, as well as a yoga area and spin bikes. Our upscale clubhouse also features a gourmet coffee and hot tea bar, social lounge with gaming and a TV, cinema theater, and cyber lounge. For your convenience, take advantage of our online rent payment and maintenance request services, on-site dog park and dog wash, car care center, and elevator access. Select a floorplan to take a walkthrough video tour, or contact our friendly leasing staff to set up an appointment for a personal tour of your new home. We look forward to seeing you at The Adley at Bryton Apartments! Have a question for The Adley at Bryton?